CGBC is a vibrant and loving community of people from three different language groups: Cantonese, English, and Mandarin. Here at CGBC Kids, we serve children from birth until 6th grade. The Children’s Program is conducted in English; although we have many bi-lingual volunteers who can assist when needed. We are happy to welcome you and your children, whether you’ve visited the church hundreds of times, or if this is your first time. Come join our family! Our Children’s Ministry follows the S.A.F.E. Guidelines to help facilitate a positive, God-centered environment for the children. S – Security: – Physical safety – we take measures to ensure all kids are properly checked in, doors and windows are secure, hazardous items are out of reach, and children are released to authorized individuals during pick-up. A – Attentiveness—Emotional safety—Teachers anticipate the needs of the children so they can feel warmth, love, and acceptance. F – Fun– Children’s programs contain activities that are stimulating and promote interactions with one another. All classes are Christ-centered, age-based, and thoughtfully prepared to suit your children’s needs. In order for children to get the full benefit and experience of the Children’s Program, it is recommended that they attend both Sunday School and Children’s Worship (Beginner’s Worship for the children under Kindergarten and WATT Hour for 1st-6th graders). 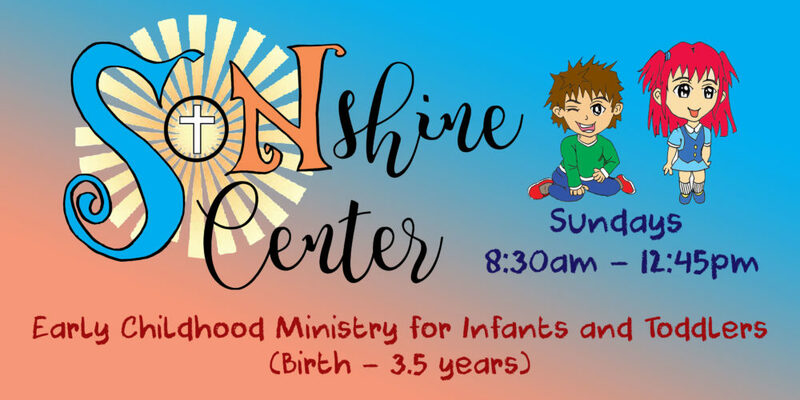 The Sonshine Center is our Nursery Program. Whether it be through play, songs, puppet shows, and interactions with their kind and tender-hearted teachers, we will be sharing the love of God to our youngest attendees. Every Sunday, our infants and toddlers will hear a short lesson and participate in singing songs of praise to our Lord. 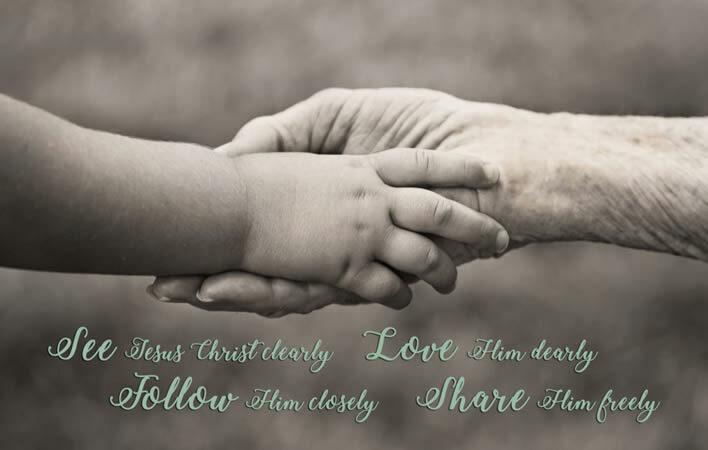 Our aim is to provide a safe and loving environment for the children and to teach them to love our Lord. Sunday School Classes are held twice, from 8:30-9:45 and again from 11:30-12:45pm. During this time, children learn to pray together, relate with one another in smaller groups, hear a Bible story, and interact with the lesson through crafts and other fun activities. 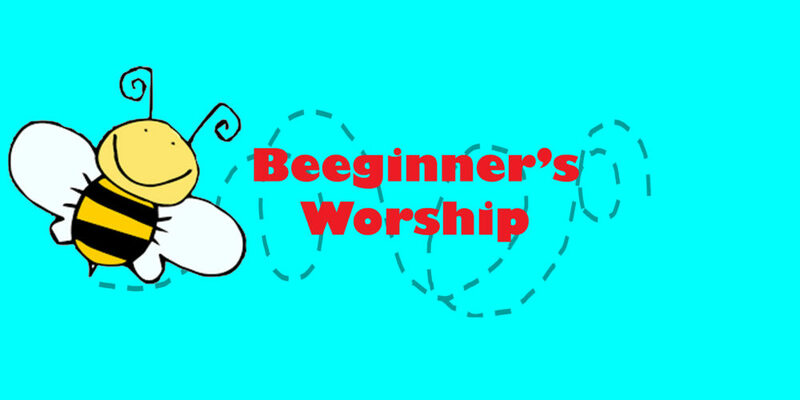 At 10:00 is the Beginner’s Worship session. During this time, the children worship together and praise the Lord through songs, art, games, and memorizing Bible verses. Sunday School classes are divided by age groups and are held twice every Sunday—once at 8:30am and again at 11:30am. Here, children will be nurtured in a small group environment and grow deeper in their relationship with the Lord, their understanding of His Word, and their relationship with each other. Help partner with us to equip your children to withstand the pressures and negative messages of the world and to teach them to live with integrity, purpose, and passion for Christ. 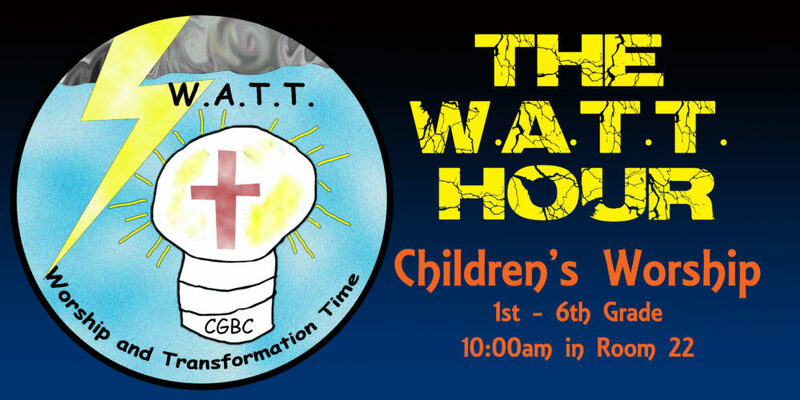 The WATT Hour is a special worship time geared for children from 1st through 6th grade. It is held at 10:00am on Sunday mornings. During this service, children worship God and sing the praises of our Lord together in a large group setting. Our dedicated teachers prepare thoughtful lessons based off of our church-wide devotional book, Living Life, giving practical applications to help the children throughout their week. We have a place for you whether you are available every week, once per month, or even 10 minutes here and there.